Retaliate has enhanced surfactant technology to ‘wet out’ the detergent system more efficiently. Retaliate has enhanced surfactant technology to ‘wet out’ the detergent system more efficiently, thus allowing greater penetrating of the dirt and safe removal from the wheel. 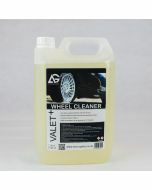 It is completely acid free and is safe for use on all alloy wheels. 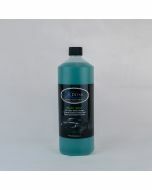 This is a professional product and is highly concentrated, so it’s not to be used neat. We have dilution guidelines but ‘our’ definition of dirty may differ somewhat from yours, so please dilute to suit! Simply spray the diluted product onto the wheel, allow a dwell time of circa 30 seconds to one minute, then agitate with your preferred choice of brush, power wash off and admire the showroom finish result. All of the components are fully biodegradable. Enhanced Surfactant technology for faster action. Provides a near showroom finish. Will not degrade tyre rubbers. Depending on the degree of contamination Retaliate can be used at varying dilutions. For heavily soiled wheels remove surface soiling with a high pressure lance and apply Retaliate in a liberal coating through at a dilution of 1:1 and allow to dwell for 3-5 minutes. If required, agitate with an appropriate brush or mitt. Remove with a high pressure lance before moving to the next detailing step. 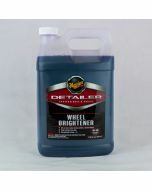 For lighter soiled wheels, apply at a dilution of circa 5:1, then remove as before. Never apply and allow to dwell on wheels in direct sunlight. Always check the suitability of the product for your wheels by doing a quick test.